Music School is open to all people who love music, also to tourists and guests from abroad. We offer lessons in English. Music School is a place where music dreams come true. 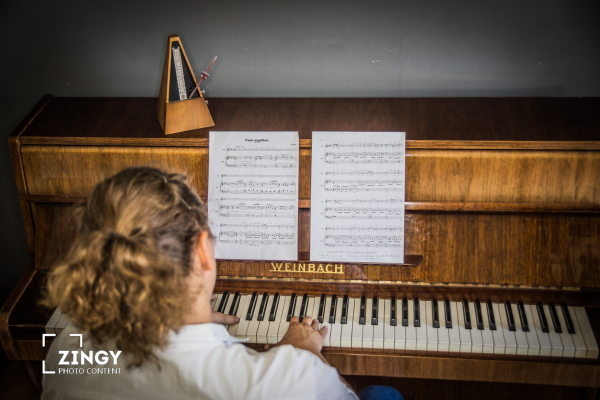 Well-educated and professional musicians with experience in teaching can help you to start playing the guitar, drums or the piano. You don`t need to have previous experience in playing the instrument. You don`t need to know how to read music. Our teachers speak English. Music School is the only school in Poland dedicated to business people. In our school, even people in their 50s start playing the instrument or singing! We will teach you how to play in great, stressfree atmosphere. Our teachers are friendly, open-minded and full of energy. You can start with a trial lesson. It lasts 50 minutes and the price is PLN 80. During this lesson you will see what our lessons look like and you will meet your teacher. A trial lesson is not obligatory but highly recommended. 4 lessons course (lasting one month) for PLN 440. Every single lesson from any course lasts 50 minutes. What instruments can we teach you?